Raoul’s Cafe is definitely the place to come to for Sunday brunch. The cafe was so busy and full when we went there on this particular Sunday. We thought that we would be waiting a really long time for a table. So we were pleasantly surprised when we were seated within five or so minutes. The perfect way to start the lazy Sunday was with a cup of Earl Grey Tea. I was happy that the tea was served by the pot. 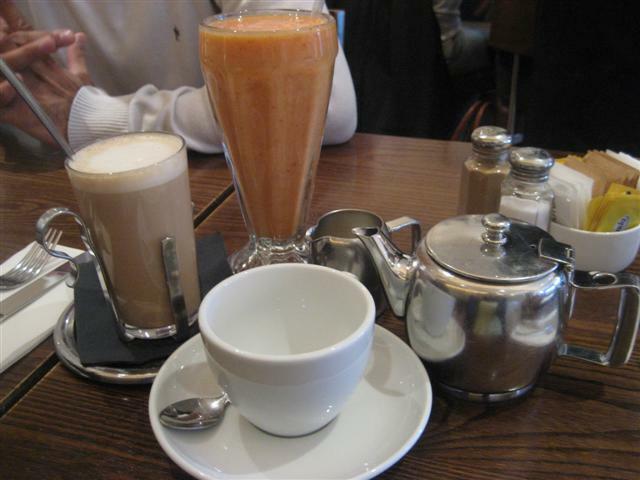 They also have a good range of fresh fruit smoothies. These are served in tall glasses and can be fairly filling. 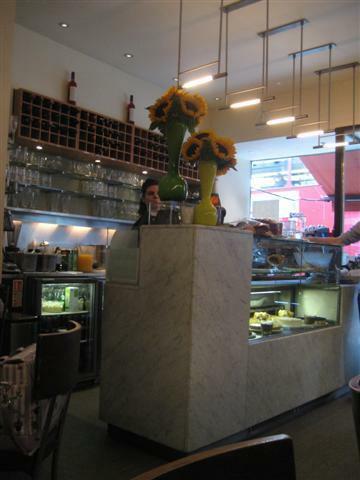 There are a number of items on the menu that sounded tempting, from breakfast items to toasted sandwiches. The egg and mushrooms on toast was a good combination. Even though the menu specified that it was poached eggs, the staff didn’t mind me asking for scrambled eggs. The portobello mushrooms were full of flavour and it was all served on a slice of granary toast. The eggs benedict did not disappoint either. 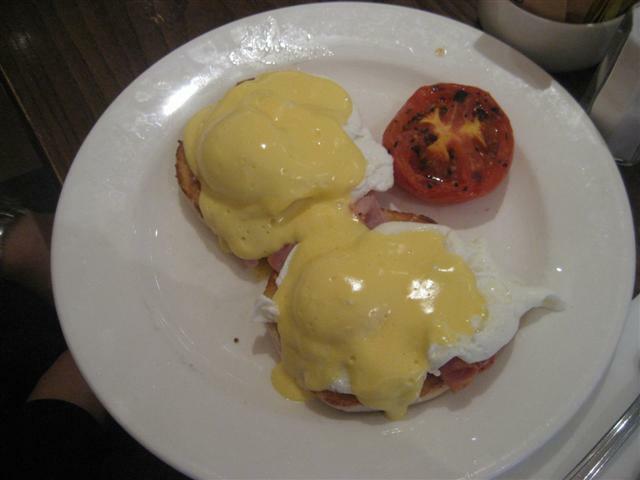 This dish was poached eggs and ham on a toasted muffin with hollandaise sauce. The eggs were cooked to perfection with the runny yolks. 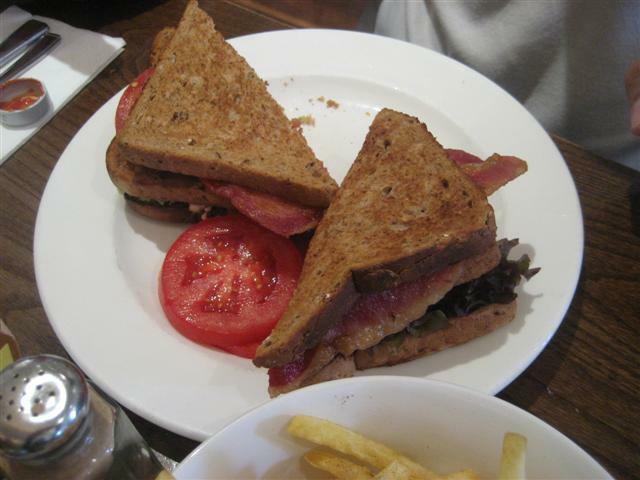 As for sandwiches, there are a few to choose from and the classic Club sandwich is a good choice. The granary bread was generously filled with bacon, chicken and salad. To accompany our main dishes, a big bowl of fries and a bowl of calamari made good side dishes. All of the food was of a high quality and it was all freshly cooked. The service was really efficient and fast. Even though the cafe was full, we did not have to wait long for the food to be brought out to us. The staff were friendly and let us have a relaxing Sunday brunch. 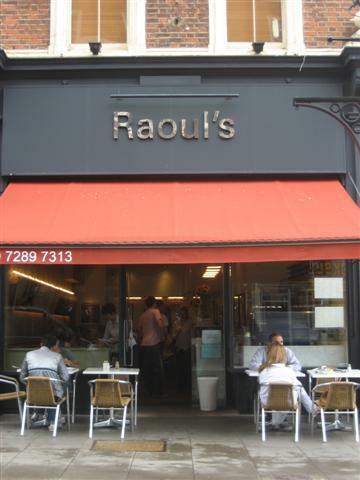 Raoul’s Cafe has some outdoor seating. 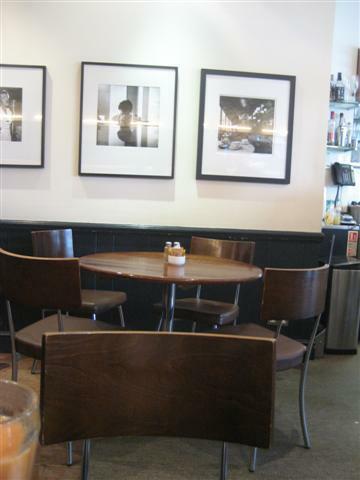 There are wooden tables and chairs indoors on one side of the cafe, and on the other is sofa style cushioned seating along one of the walls. Just as you enter the cafe, there is the counter fridge with lots of tempting cakes and desserts.